Tampa women divorce lawyers (marital law) and family attorneys at the Florida law firm of All Family Law Group, P.A. are experienced and trusted attorneys who provide our clients with personal, individualized representation since 1997. Our top rated female Tampa divorce and family law lawyers are skilled at handling all matters pertaining to divorce and family law. We focus in these areas of law and both the attorneys and legal staff strive to provide the best representation possible. Our loyalty lies with our clients. 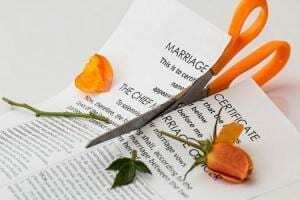 The divorce process can be lengthy, complex, and emotionally draining, and as well as any family law matter may not be easily resolved if the parties cannot agree on a resolution. These processes can be some of the most traumatic events a person experiences in his or her lifetime. We can empathize with what our clients’ are experiencing, as we have all had our own experiences with family matters. Over the years we have represented 1000’s of men and women in divorce and family law issues such as child custody and visitation, child support, alimony, division of assets and debts, paternity actions and post final judgment modifications. We will be at your side to help you navigate through the sometimes tangled process while striving to make it as easy as possible for you and to promote settlement. If the parties cannot agree and settlement is not an option for our clients, our attorneys have extensive trial experience in divorce, alimony, child custody and support, visitation and as well as related family law matters. We will aggressively pursue your rights in and out of court to obtain the best possible outcome. So if you are looking for knowledgeable, dedicated lawyers, then look no further. Our attorneys have a combined experience of approximately 50 years in resolving family and divorce cases amicably or through contested litigation. Contact us either by telephone at 813-672-1900 or email to schedule a free consultation to discuss your case and your available options. We are conveniently located with offices throughout Tampa Bay and we work with our clients via in person consultations and appointments, as well as by telephone, mail, email and video. Tampa divorce attorneys and family law lawyers at the law firm of All Family Law Group, P.A. provide effective, smart solutions for men and women in the following areas of law. In any divorce case asset and debt division, child custody, child support and spousal support are a few of the most important considerations to be decided. This includes determining what is marital and non-marital property, equitably distributing marital property, debts and assets, as well as determining whether and to what extent one spouse should provide the other with alimony. If there are children involved, child custody, visitation and child support must also be considered. In every case involving children, shared parental responsibility plans, otherwise known as Parenting Plans, must be drafted, agreed upon and signed by the parties. If the parties cannot agree on these terms, then the terms will be ordered by the Court after hearing the evidence and testimony of the parties in a final hearing or trial. In addition, if a spouse or both spouses are in the military there are additional issues to be resolved. Our Tampa military divorce attorneys are experienced and knowledgeable in all issues that confront military personnel, as being in the military subjects you to different rules in your divorce or family law matter. We know how difficult it can be in many cases for our clients and we can definitely empathize with their situation. We strive to be responsive to our clients concerns and to keep them informed as to the status of their case and available options. This is and has always been a personal goal for each one of our attorneys and for each one of our legal staff at our law firm. We will communicate with you and work to expedite your case as quickly as possible throughout the process. We strive to provide cost-effective legal services by working toward an amicable solution to avoid expensive, time consuming and emotionally draining litigation. Sometimes, however, cases cannot be amicably resolved if the parties cannot come to an agreement. Under these circumstances our goal is to represent you to attain the best result to which you are legally entitled. Our family law lawyers and divorce attorneys are experienced, thorough and aggressive litigators and we strive to provide you with the best divorce and family law representation possible – anywhere. Contact our compassionate and responsive lawyers at the family and divorce law firm of All Family Law Group, P.A. in Tampa, Florida, if you have any questions regarding any of the areas of law in which we practice. We are committed to providing you with the best representation possible. Contact our law firm online or call 813-672-1900 for a free consultation to speak with one of our experienced attorneys to discuss your situation and your available options. Se habla español. We represent divorce and family law clients in the Florida cities of Tampa, Hyde Park, Ybor City, South Tampa, Brandon, Riverview, Valrico, Gibsonton, Lithia, Mango, Palm River, Plant City, Seffner, Sun City Center, Apollo Beach, Ruskin, Temple Terrace, Northdale, Carrollwood, Thonotosassa, Lutz, Fish Hawk, MacDill Air Force Base, Clearwater, as well as all of Hillsborough County, Pinellas County and Pasco County.